A good news for you, God’s people ! We like to listen to good news than bad. However, how many times do you listen to good news in your life? How happy would you be? If you are suffering from diseases, you will want to cure a diseases immediately. You will really try to find the best medicine and hospital. However, If you don’t detect your diseases , you can miss the right time to cure it. The Bible testifies that we are destined to die someday, because of our sins. We are suffering from death. How can we live forever? If you want to enter the kingdom of heaven and to rest forever, how can you possibly do that? We should seek and meet the Spirit and the Bride, the source of water of life. Christ Ahnsahnghong and God the Mother give us the water of life. If you really want to meet God and to receive the free gift of the water of life from God, come to World Mission Society Church of God where the Spirit and the Bride are with us. The spirit, our God the Father and The Bride, our God the Mother are waiting for us to give us the water of life. It’s a good news for God’s people! Why do they come to this sinful world? Because, God loves us. 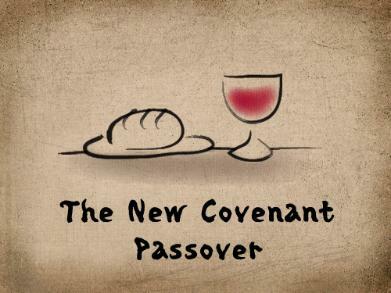 Why do they want us to keep the Passover? It’s to give us eternal life. Christ Ahnsahnghong restored the Passover. Share the post "A good news for you, God’s people !" What is Easter? What is Resurrection Day? If our hope is only for this life, how much miserable we are! Apostle Paul confessed that how wretched he was in his life. We, all sinners, were in an unpleasant fate in which we were doomed to die. After receiving our Elohim God, we became to live happy life with hope to go back to heavenly hometown where we were before, in state of being angels. Thanks and glory be to our Heavenly Parents! Whoever wants to go to Heaven, good place, but few is not attempting to listen good new about it. God don’t want money or much effort. He just want your short time to tell how to go into heaven.